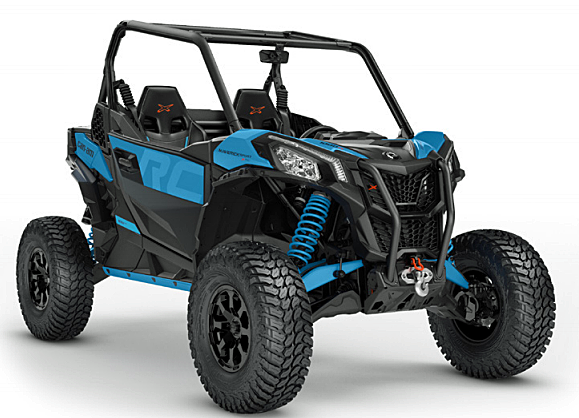 Can-Am Maverick Sport XRC new for 2019! Rock Crawling Special. New for 2019 Can-Am Maverick Sport Xrc for rock crawling fans. But that's not all it will do. We'll tell you about the key features, and why that just might make it a better overall UTV for the trail. ENGINE - 100 hp, Rotax 976 cc, V-twin, liquid cooled - Intelligent Throttle Control (iTC) with Electronic Fuel Injection (EFI). Transmission - Quick Response System (QRS) CVT with high airflow ventilation and Electronic Drive Belt Protection - Extra-Low / Hi / Neutral / Reverse / Park. Driving Assistance - Electronic Hill Descent Control - SPORT / ECO modes. Power Steering - Dynamic Power Steering (DPS) - Adjustable tilt steering wheel. BRAKES - Front and rear Dual 220 mm ventilated disc brakes with hydraulic twin-piston calipers. Short front and rear overhangs and higher ground clearnace for better departure angles without getting hung up. 64 in. wide with arched front and rear suspension arms for more ground clearance and less chance of damage. Wheelbase 90.6 in. with minimal overhang for low departure angles. 14 in. cast-aluminum wheels with 30 in. Maxxis Liberty tires for rocky terrain. Rear sport bumper, front tow hook, UHMW Rock sliders, differential and front skid plate, front and rear suspension arm protectors. 15 inches of ground clearance, arched control arms, skid protectors, 4,500 lb winch with synthetic cable. Fox Podium shocks with 14.5 inches of travel. Tires with rock crawling tread. Smart-Lok - Full lockable on-the-fly front differential with four electronically-controlled automatic modes - 2WD / 4WD with front diff. lock / 4WD ROCK / 4WD TRAIL. The TRAIL ACTIV mode has been designed for aggressive riding in delivering the ultimate in cornering precision. On undulating terrain, quick corners, and loose surfaces, TRAIL ACTIV mode maximizes the 4WD system's speed, efficiency, and predictability. When high engine torque and/or an increase in vehicle speed is detected, Smart-Lok will progressively engage (lock) the front end until the throttle is released or the vehicle’s speed is reduced. The progressive engagement allows smoother steering effort and predictable response. 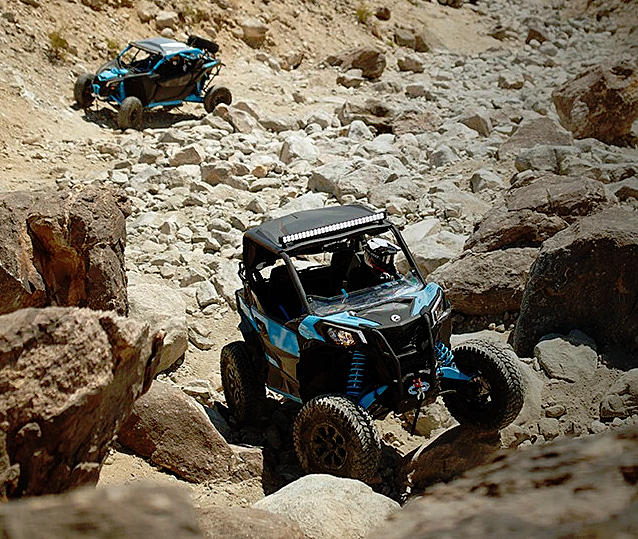 A button press is all it takes to set up a Can-Am for rock crawling. 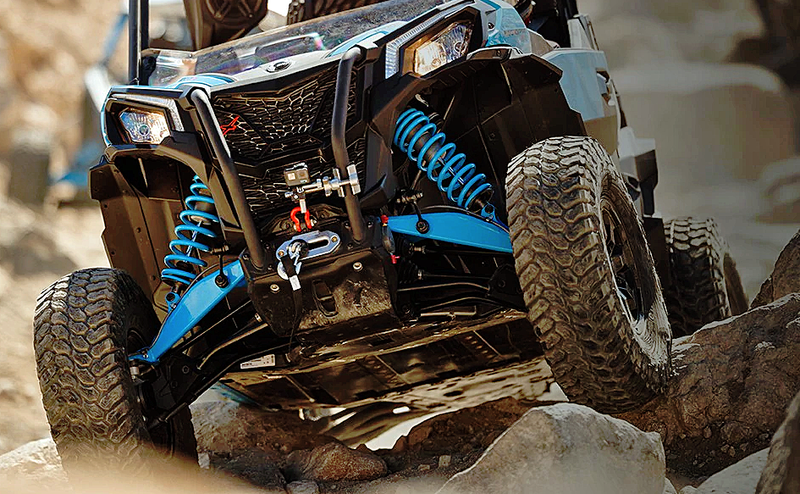 With throttle, steering, and the 4WD system all tuned to maximize response over rough, rocky terrain. 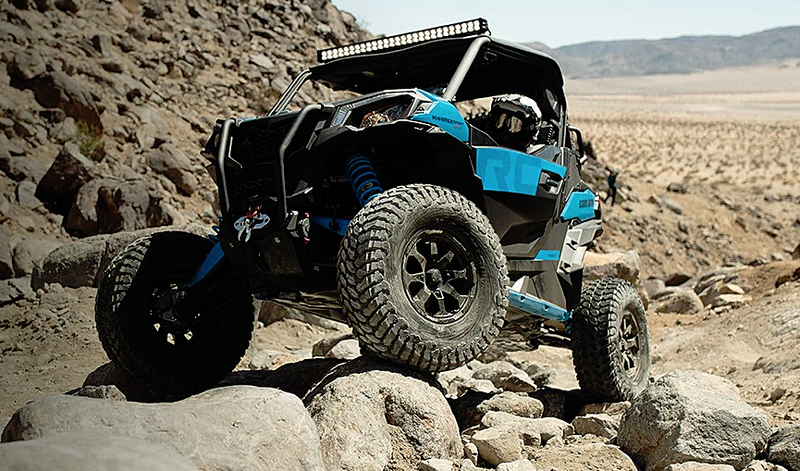 Press the ROCK button, and special calibrations kick in to help pull the Can-Am Maverick Sport Xrc over obstacles when leading with the right front tire. When high engine torque is detected at low vehicle speed, Smart-Lok will progressively lock the front end and will stay engaged until throttle release to prevent wheel slippage and provide optimal traction. The progressive engagement also allows for easier steering when maneuvering the vehicle. 4WD system with rocker switch selectable Rock mode for rougher terrain and obstacles without binding up the steering. All-new multifunction 7.6-in digital display. Designed to show all relevant information at a glance in any conditions with bright, all-weather display. Lots of accessories to customize your Xrc any way you want it. Conclusion - $21,299 MSRP for the Can-Am Maverick Sport Xrc. 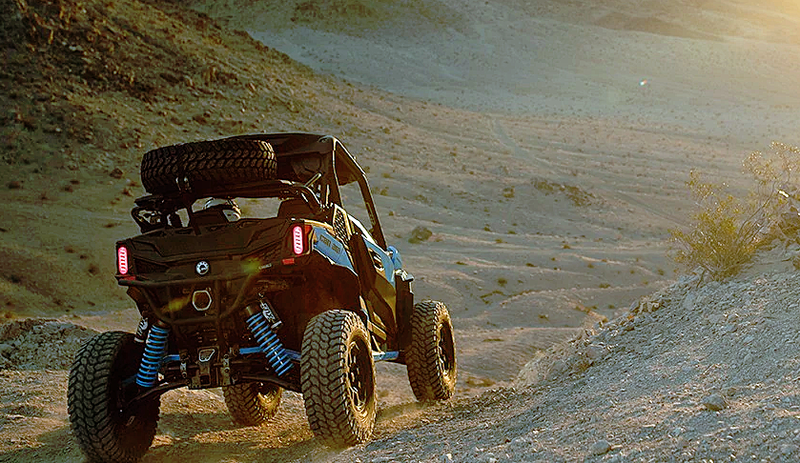 If rock crawling or extreme terrain trail riding is your thing, a specialty UTV like this might be for you.